Real Deal Retirement » Blog Archive » Should I Move My $200,000 In Retirement Savings From A CD To An Annuity? Should I Move My $200,000 In Retirement Savings From A CD To An Annuity? My wife and I are retired and drawing Social Security. We also have $200,000 in a retirement account that’s invested in a CD. We’re thinking of transferring that money to an immediate annuity. Do you think that’s a good idea? The answer depends on what you’re hoping to achieve. If you’re thinking of making this move just because you’re dissatisfied with the low rate of return you’re earning on your CD, then I’d say you ought to re-consider. An immediate annuity isn’t the kind of investment you move into solely in hopes of earning a higher return. 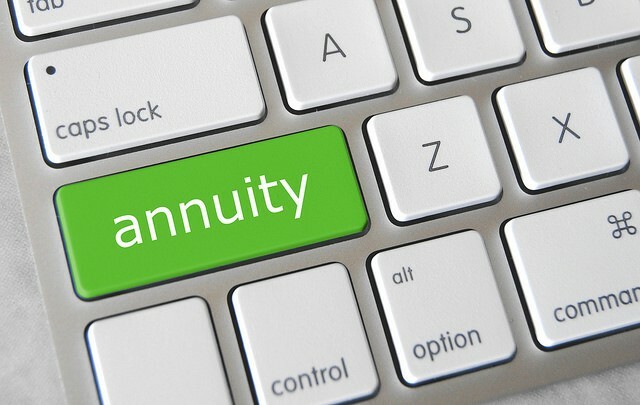 But if you’re considering this move because you want to be sure that you and your spouse will have guaranteed income as long as either of you is alive, then an immediate annuity can be a reasonable, or even an excellent, choice. Indeed, besides being an efficient way to turn retirement assets into income you can’t outlive, research shows that people who have annuity-like income in retirement tend to be happier than those who don’t, presumably because they derive a sense of security and comfort from knowing those annuity payments will keep coming in every month even if the financial markets are in major meltdown mode. But this isn’t a move you want to make lightly. 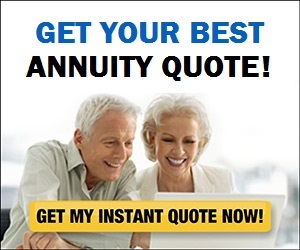 Once you buy an immediate annuity, you give up access to your funds in return for the promise of lifetime payments. So the money you invest in the annuity can’t be passed on to heirs, nor will it be available for you to dip into for emergencies or to pay unexpected expenses that may pop up. Which is why it’s almost never a good idea to put all, or perhaps even most, of your money into an immediate annuity. Generally, if Social Security plus any pension income covers the basics, then you may be able to get by using that income to pay day-to-day expenses and then rely on the rest of your savings to handle unexpected expenses, pay for emergencies and fund spending on travel, entertainment and other discretionary activities. But if Social Security and pensions fall short of covering all or most of basic living costs—or if you would simply feel better having the extra cushion of more guaranteed income—then you might want to devote some of your savings to an immediate annuity, while leaving enough to cover emergencies and nonessential expenses. You can get an idea of how much guaranteed lifetime income a given amount of savings will buy by going to this annuity payment calculator. Today, for example, $100,000 would get a 65-year-0ld man about $525 a month in lifetime income, while that amount would generate roughly $490 a month for a 65-year-old woman. A 65-year-old couple (man and woman) would receive about $430 a month as long as either one is alive. The payments would be smaller if you’re younger and larger if you’re older when you buy the annuity. If you do decide you want to purchase more guaranteed income, you may want to do so gradually. Doing so will make it less likely that you’ll buy more than you find you really need, plus converting a bit of your assets at a time will also prevent you from putting all of your money into an annuity when interest rates, and thus monthly payments, are at a low. As a safety measure, you should diversify your annuity stash among two or more highly rated insurers, taking care to avoid investing more with any single insurer than the maximum coverage for annuities offered by your state’s insurance guaranty association. Before moving any of your savings into an annuity, you’ll want to check out this column on key questions to ask before investing in an annuity as wall as this article on how to choose the best annuity for lifetime income. That still leaves the issue of what you ought to do with whatever money you don’t invest in an immediate annuity. Ideally, you’ll want to keep some of your retirement savings invested in a CD or savings account that you can tap for emergencies and for any short-term expenses that aren’t covered by Social Security, any pensions and your annuity payments. I recommend you consider investing the rest in a mix of stock and bond funds that has the potential to provide a better return over the long term than you would get by sticking to cash equivalents like CDs and savings accounts alone. You don’t have to invest this portion of your savings aggressively. Even a small dollop of stocks can provide long-term growth potential that can provide some inflation protection over the course of your retirement without subjecting your nest egg to undue risk. To arrive at a mix of stock and bond funds that provides an appropriate level of comfort, I suggest you try Vanguard’s free risk tolerance-asset allocation tool.